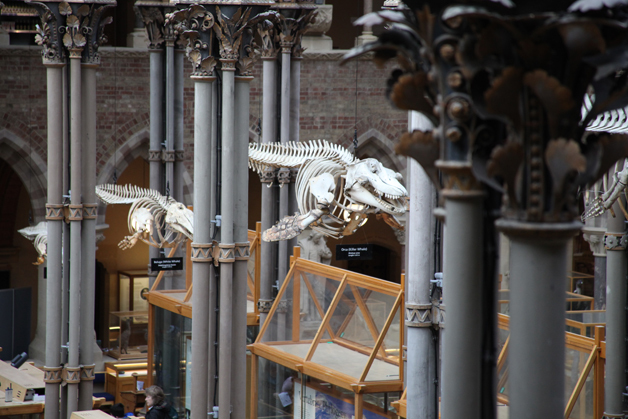 As part of the Oxford University Museum of Natural History 2013 renovation, it was decided that the five whale (cetacean) skeletons, suspended from the museum roof, would undergo long-awaited conservation treatment. 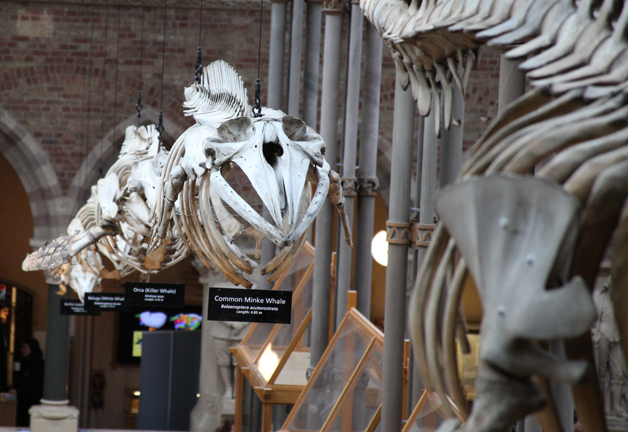 This blog aims to present and discuss the conservation process, treatment methods applied and the final results achieved. 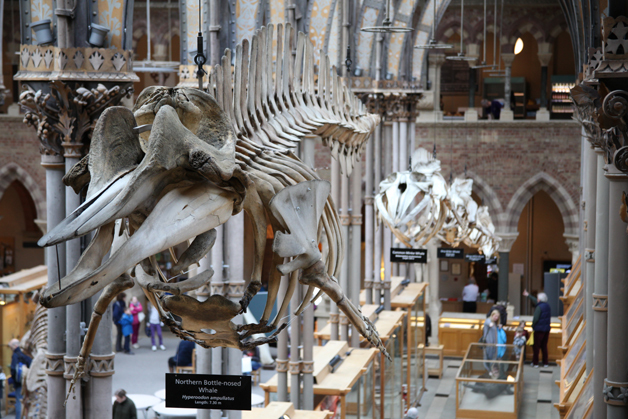 All text and images on this blog are copyright of the Oxford University Museum of Natural History.